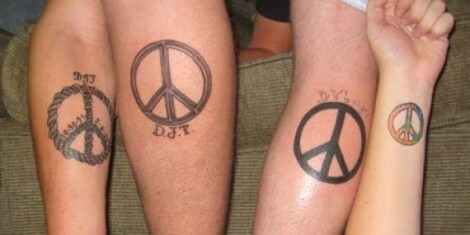 After my 17-year-old son Dylan passed away this summer, we all went and got peace tattoos. This is his cousin, father, brother and little sister. You can rate or comment on this tattoo below. Please include a picture of your tat, one sentence explaining its significance, your name and city in the e-mail.